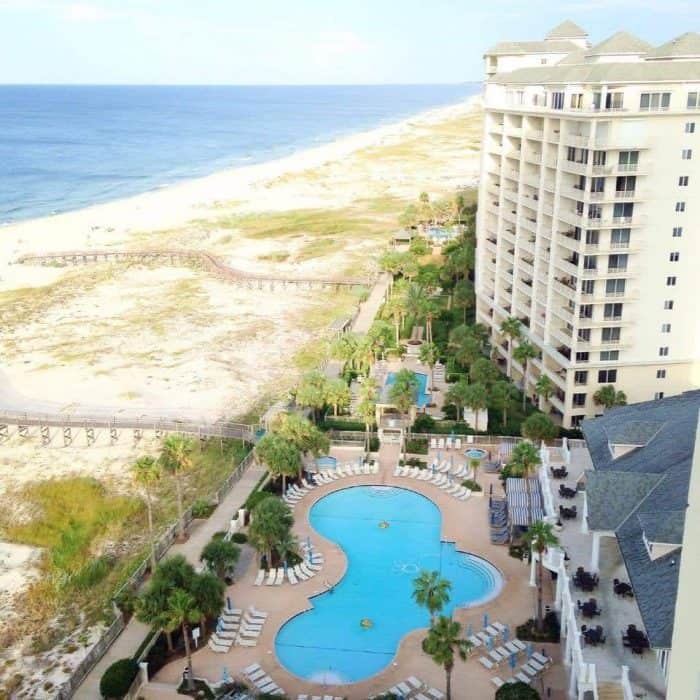 The Beach Club Gulf Shores is a full-service resort tucked again in quiet Fort Morgan. 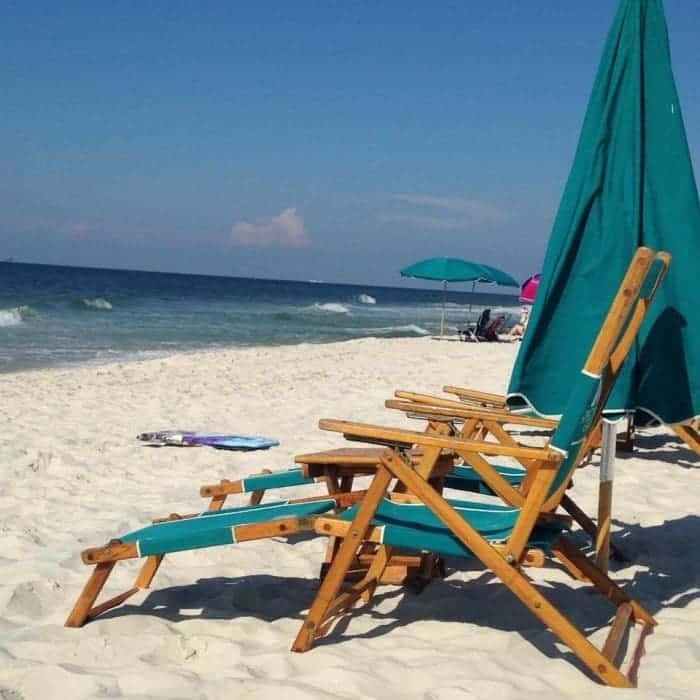 It’s about a 15 minute ride away from Gulf Shores. 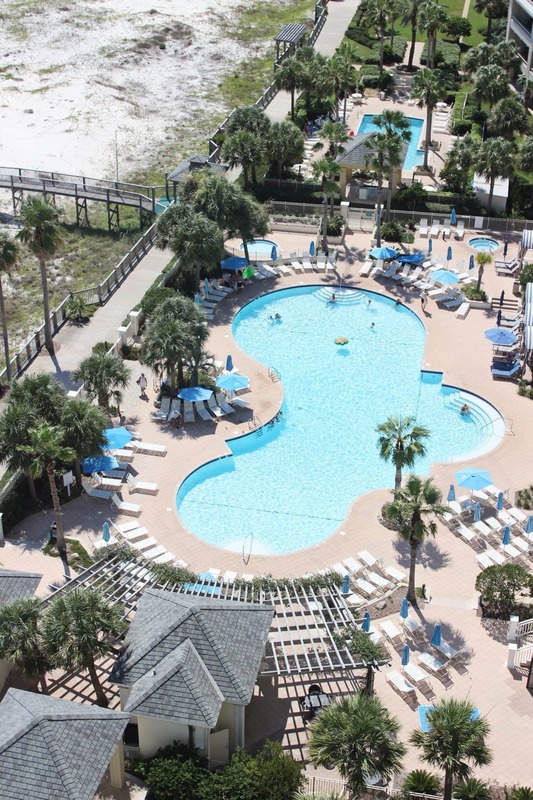 The Beach Club has literally everything you need for a relaxing family vacation, so there’s no need to venture off the property unless you just want to. Of course the beach front itself is spectacular. So reserve a chair with your name on it. Or just enjoy the breathtaking view from your balcony! 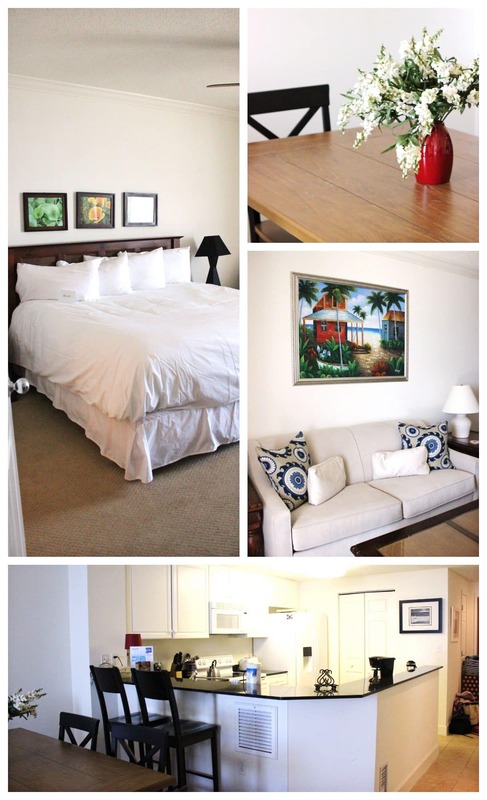 The Beach Club suites themselves are ideal for families due to multiple bedrooms and bathrooms available. Plus with a full kitchen you can stock your home away from home with enough food to never leave the resort! We love having this option with such picky little eaters. We can bring their favorite foods from home (like frozen pancakes) and make sure they’re fed no matter what. 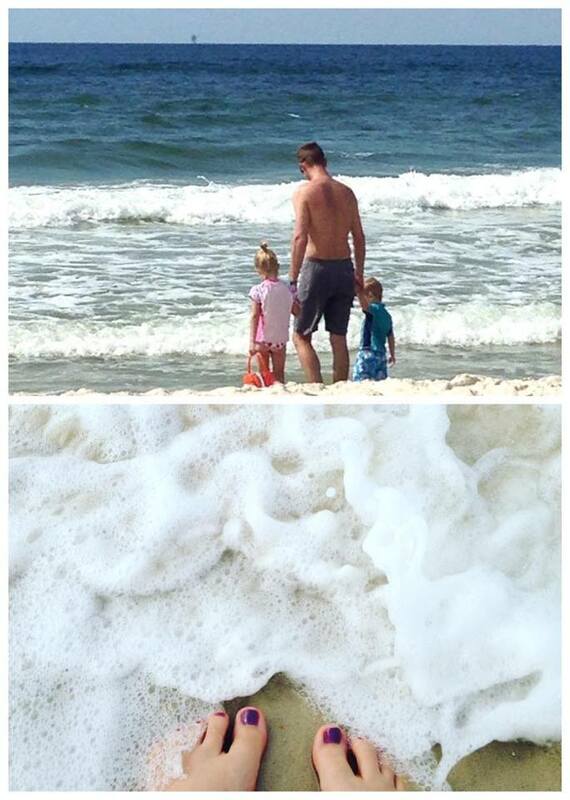 Another must-have for families staying at the beach is a washer/dryer. It’s nice to get those suits dried quickly when you’re ready for more fun in the water after nap time. The kids enjoyed the pools just as much as the beach itself. 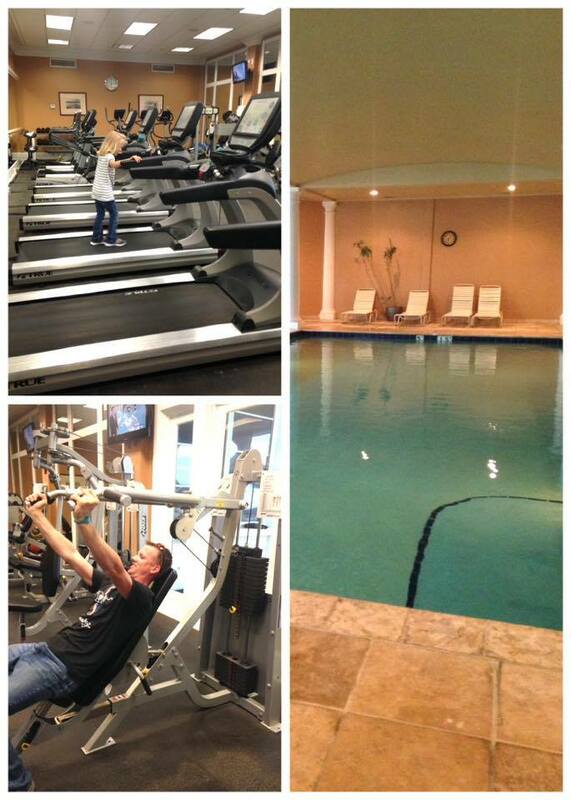 We stayed in Bristol tower and mostly swam in “our” pool, but you can head over to the Clubhouse pool too if you enjoy live music while you swim and quick access to the indoor pool. The Clubhouse – Speaking of the Clubhouse, there’s lots to do here if you tire of the beach! Like the complimentary arcade, for example. 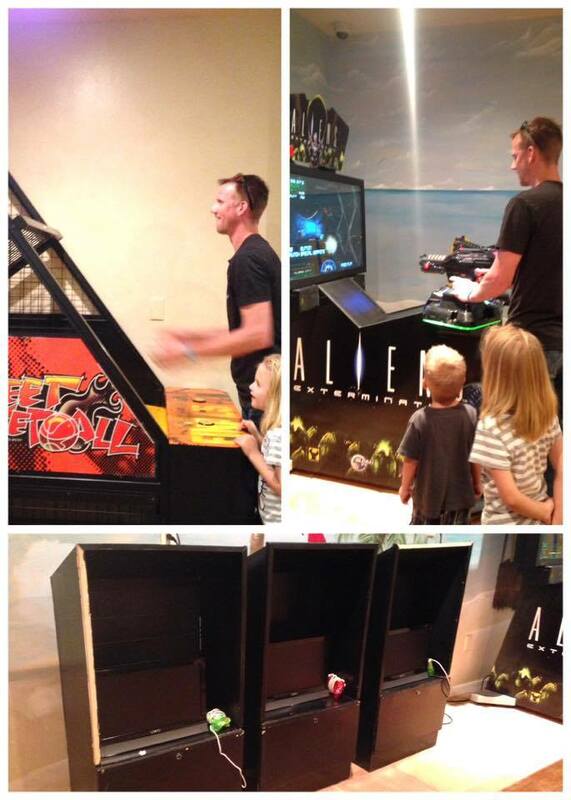 Hubs and I bonded over shooting aliens together. The kids didn’t quite know what to make of Mom and Dad high-fiving each other and acting like 12 year-olds. Also free DVD rentals. It’s a similar setup to Redbox and you’re limited to having one out at a time. 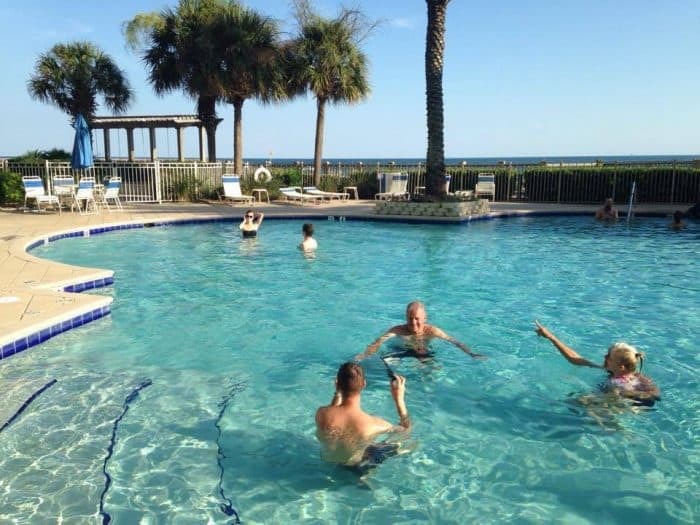 If it rains a good deal on your beach vacation, you can still have fun in the water thanks to the indoor pool. Coast Restaurant is on the second floor of the clubhouse if you feel like family-friendly fine-dining. It’s one of several dining options on the property. Check out what we enjoyed eating at Coast Restaurant in my Where Else to Eat in Gulf Shores post.